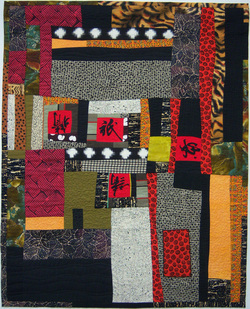 This triptych was designed as an exercise in repetition, by using a limited color palette, and focusing on repeated patterns in the fabrics. 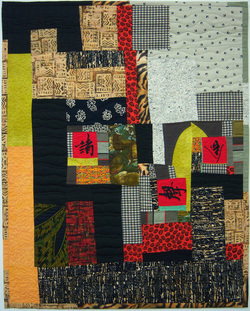 'Seduction I' 38.5' x 30.5' Cotton fabrics, pieced, appliqued, quilted. $1200. 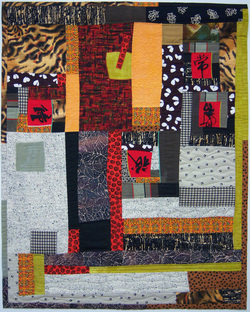 'Seduction III' 38.5' x 30.5' Cotton fabrics, pieced, appliqued, quilted. $1200.